How does it feel like when a single click on a mail takes out all of your information? Definitely, it is similar to a heart-attack situation. However, it is a fact that approximately 93% of data breaches take place through email based cyber attacks like Spear Phishing. In recent years, the major cyber-attacks on companies, banks – just initiate with a single click on a spear phishing email. Now, one of the biggest question in this age: What is Spear Phishing threat and How can we analyze whether it is a spear phishing or legitimate email when security systems are unable to do so? Have you heard about Phishing emails? Might be many users know about it, because every email program timely sent alert messages to their users in order to save yourself from phishing emails. Spear phishing and phishing both aims is to deceive the user. However, the spear phishing is more concentrated on the single organization at a time and looks more legitimate whereas phishing attacks target a huge number of population of every domain. In recent years, the Spear Phishing scams are rapidly doing significant damage to organizations across the globe. The reason that makes spear phishing technique so popular is its working approach. It absolutely looks like a real email sent by a trusted domain and can easily fool the smart email filtering feature. Originally, the spear phishing email is a technique used to defraud people by sending fraudulent emails in order to access their sensitive information and take ransom money for releasing the data. Likewise, there is also a smishing cyber attack which comes across as SMS or text messages. After getting the idea of this email-based cybercrime, let’s talk about how they target the users. 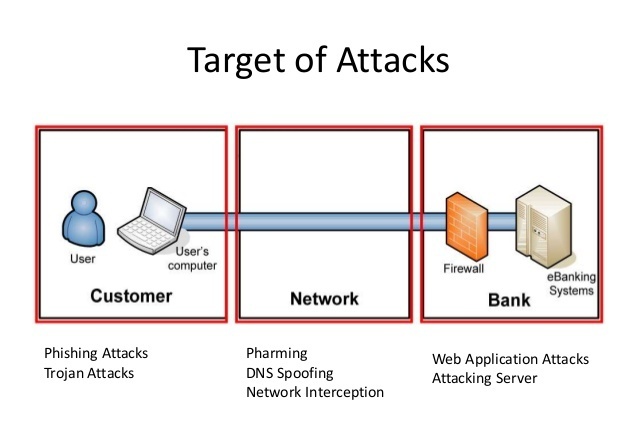 Majorly, the spear phishing crime takes place in reputed enterprises, banks, retail and so on. In this attack, the employee receives a message that similar to a real email sent by a trusted sender. As we discussed above the sole aim of this type of emails is to get the information. So, if the employee replies to this mail or they clicked on any hyperlink that consists of malicious code, then the attackers get access to the information about your organization. How to Protect Yourself From Spear Phishing Scam? Every cybercriminal intention is to get your private information from spear phishing. However, with the right preventive measures, you can safeguard your users and organization. 1. Implement Behavior-based security software to detect the threat before it does any damage. Plus, use an email client that has smart and advanced spam filtering functionality to identify spear phishing emails. 2. Make sure that any employee does not post personal information like work phone number, email address of the organization online (like social networking site). Because spear phisher can utilize this information in order to breach your enterprise or company. For example, the attackers can contact and convince you that they are from the HR department and they will send a mail regarding the product sales and you need to fill the details appropriately. 3. Encourage your employees to never share any sensitive information of the organization through email. First, they cross-check that mail is sent by the trusted authority with their senior and confirm it is legit. In such a situation, if the person denies that he/she didn’t send any message, then contact the IT department. It might be a phishing attack. 4. Before clicking on any attached hyperlink, always read and check the email carefully. Just levitate the mouse over the link and check the destination URL. If you find it is reliable, then click on it. Otherwise never click on such hyperlink. Because clicking on such emails can inject any malware in your system that might encrypt hard-drive data and take ransom from the organization to release such data. Adopting the above steps might protect you from email-based cyber attacks. Because there is no hard and fast rule that will finish this type of catastrophic attacks. You always have to be aware and before approaching any email, first, analyze it carefully. Spear Phishing attacks are difficult to identify because they look so legitimate, even a spam filter fails to catch it. So, just focus and trained yourself with above-discussed point to safeguard from fraudulent messages while dealing with emails. This will educate you on how to recognize spear phishing emails. In fact, organizations can organize training programs on cybercrime for employees. So, it will help to reduce the chances of spear phishing threats in the Organization.